Satisfying the fans’ cravings for OG sneakers, adidas Originals reissues Patrick Ewing‘s Knicks-themed Rivalry Hi and a subtler black and white version. The sportswear label opts for a retro white to dress the upper of the basketball silhouette. 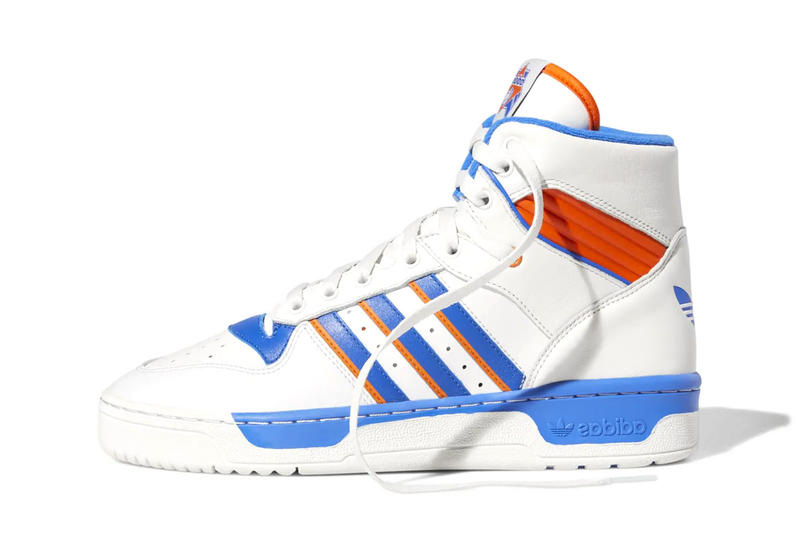 A warm blue hue coats the lining and the rubber welt, while a vibrant orange outlines the Three Stripes motif as well as the basketball tag-ornamented tongue tab. As for the monochromatic colorway, white elements spread throughout this iteration stand out on the contrasting, inky black upper. Both pairs are detailed with exposed stitchings running around the feet to right above the chunky outsole. The adidas Originals Rivalry Hi “Knicks” and “Black/White” will be available on the brand’s website and at select retailers. Stay tuned for more details of the official drop date. In more sneaker news, take a look at the adidas Originals LXCON.